At her practice in North Canton, Dr. Julie M. Thomas offers cosmetic dentistry to help patients achieve aesthetically pleasing smiles. Our dentist can restore the luminosity of your teeth, whether teeth are discolored, fractured, decayed, or even missing. Our team prides themselves on our comprehensive dental services and inviting atmosphere. Supporting patient comfort and helping them achieve their best smiles are our priorities. Dr. Thomas and our staff take a gentle approach when administering care. We take the time to talk with each individual to find out what they wish to achieve with their treatment. Our dentist is conservative when recommending services and does not provide anything that does not meet patients’ dental needs or goals. When proceeding with care, Dr. Thomas may suggest the following cosmetic or restorative services to restore dental function and appearance. Our North Canton practice offers in-office and at-home teeth whitening options to accommodate patients’ schedules. These treatments lift the stains caused by coffee, wine, or tobacco use. If a patient chooses in-office Zoom! bleaching, they can leave their appointment with a brightened smile. The at-home treatment allows you to whiten your teeth at your own pace, depending on the shade you want to achieve. If your teeth are mildly damaged, veneers can be used to conceal minor flaws such as fractures and chips. 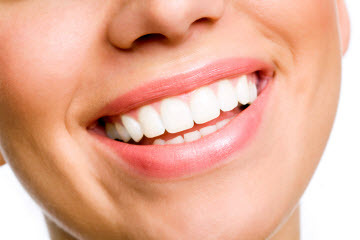 Veneers also improve the appearance of undersized teeth. Dr. Thomas uses both traditional and prep-less veneers to create an appealing, healthy, and uniform smile. Before recommending a particular type of veneer, Dr. Thomas considers if preparation is necessary to achieve the look you want. Your treatment plan is based on the specific shape and size of your teeth. When a patient is experiencing minor tooth decay, our North Canton practice applies white fillings to protect dental structure. Made of dental composite, these tooth-colored fillings blend in with your smile. Our dentist can also restore severely damaged teeth with porcelain and e.max® crowns. These materials are durable and stain resistant to provide a lasting beautiful appearance and renew bite function. For patients missing multiple consecutive teeth, fixed bridges replace them, restoring aesthetics and function. Bridges fill the empty spaces by using two crowns secured on surrounding teeth as anchors for the tooth replacement. Our bridges are crafted with zirconia to appear natural within the smile. For patients who want life-like teeth replacements, implant-supported restorations are a comprehensive solution. They maintain healthy jawbone density and create a strong, stable foundation for your prosthetics. For more information on how our North Canton cosmetic dentist, Dr. Thomas, can improve the appearance of your smile, contact our practice today!